To become the number one choice for our current customers as well as the new, by offering our products to other manufacturers and business locally and globally at the highest possible standards. We always aim to better understand our clients’ needs so we can raise our products standards to satisfy their requirements and strengthen our relations on the long term. Innovating new methods and improving existing ones that support our business activities with our customers and suppliers. To reach the highest standards in after sales support that truly satisfies our clients. Our success stems from the output of every individual, so encouraging teamwork is essential to our goals and realizing our customers’ needs. We implement the highest standards of work ethics, both individually and as an organization. 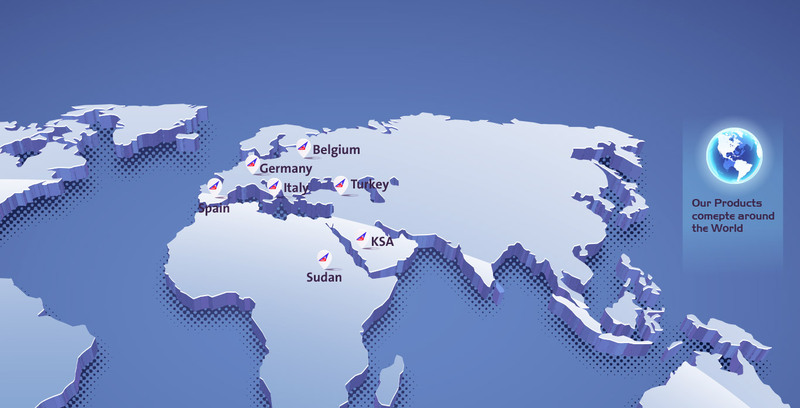 We’ve been able to expand and reach many foreign markets abroad thanks to our ever increasing customer care and ability to measure their satisfaction. We always aim to offer products that provide an added value to our customers.